Shock horror. Celebrity attacks photographer and storm of publicity ensues. 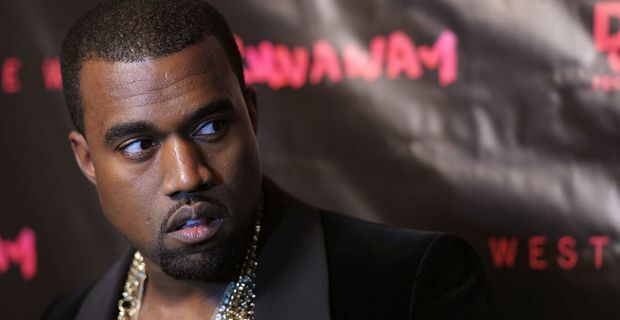 This is the news that Kanye West, better known these days as ‘Kim Kardashian’s boyfriend’ has been charged with battery and attempted theft over a fight with a photographer at Los Angeles Airport in July. West, who has been keeping a vaguely low profile (in relative terms) since the birth of his child with the professionally vacuous Kardashian allegedly attacked paparazzi photographer Daniel Ramos. Ramos claimed that the rapper / mogul / brand had punched him and smashed his camera, and obviously, what with this being America, is suing West as well as pursuing criminal charges. A phalanx of lawyers acting on behalf of West suggest that he was actually the wronged party, and had only been trying to prevent Ramos from taking his picture. The pending charges are misdemeanours and if found guilty, he faces a maximum penalty of six months in prison. Prosecutors decided against upping the charges to felony level because Ramos apparently only sustained minor injuries. The kerfuffle occurred on the 19 July when several photographers including Mr Ramos, were lying in wait for Kanye at LAX airport. Handbags at dawn weren’t far behind. As he swept through arrivals, West apparently lunged at Mr Ramos and tried to grab his equipment. "When Kanye West attacked me, I was in complete shock," Mr Ramos told reporters. "All I had done was ask him a question. I was terrified when Kanye started to come at me. I backed up because I felt from the look in his eyes that he was going to attack me." He added that he had been forced to use crutches and a cane after the incident, though this may of course have been on his civil lawyers’ advice. Mr West's arraignment has been set for 10 October.